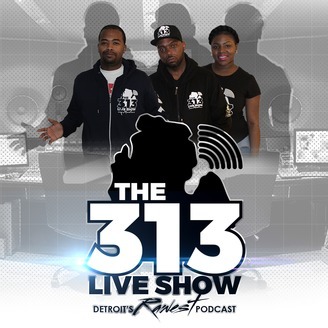 The 313 Live Show is one of the rawest podcast shows, that actually comes outta Detroit, Michigan. This podcast is hosted by That Guy Rell, Danni Ave, & J.Street. This podcast show is for the local artist of Detroit, and every city in America. 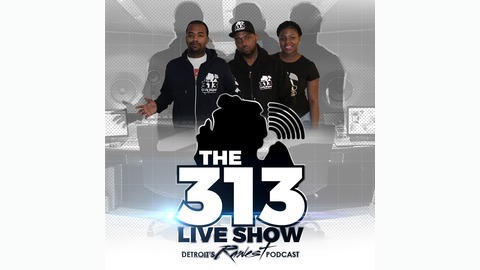 Tune in and find out how your music could end up on The 313 Live Show. This week we talk about the mid term election that just took place. We congratulate the new one hundred and two women who hold seats in the house that the Democrats now run. This past mid term election had more voter turn outs than it has had in almost a century. We speak a bit on the new proposal that was past in Michigan, that legalized marijuana for recreational use. Proposal 1 is a blessing and a curse all rolled into one. The blessing is that anyone that was charged with a felony for marijuana without a none violent offence in Michigan, will be released from prison and will have their record pardoned by the Governor. The Curse is that all the good jobs such as Apple, Google and the Big 3, just to name a few. will not hire you if you can't pass a random drug test. We also talk about Donald Trump, being absent to show respect to the WW1 veterans who lost their lives, to fight for yours and mine freedom all because it was raining. And we also touch briefly on our new acting United States Attorney General Matthew Whitaker. Did you guys know that he is under investigation for scamming and ripping off investors? Stay tuned because we have much more to talk about. The 313 Live Show LLC, is Engineered by J.Street for Streets Made Me.